With many years' experience in the consumer and professional pet and grooming sectors, we offer formulated products that match the requirements of a whole host of market sectors – discount, high street retailers, wholesalers, online marketplaces, speciality sectors and premium high-end outlets. We offer coat conditioner and pet shampoo formulation through to competition/show products, including high-shine sprays and toothpastes - a full complement of products to add to an established line. Or, alternatively, we can provide you with a new ready-made range, set to release to your chosen market. With strong in-house formulation expertise and a depth of experience in product development and design, we have a bank of formulations available off-the-shelf or which can be customised to your needs. These include dog shampoo, dog grooming and detangling sprays, hoof and nail treatments, colognes and dry wash shampoo, ear and eye cleansers, cat nip and valerian sprays. Alternatively, we can formulate a product from scratch to match and exceed benchmark products or meet specific performance criteria. In a bid to constantly remain at the forefront of technology, we liaise closely with suppliers and use new and innovative raw materials, where possible. We’ve recently spent a considerable amount of time developing a new range of natural grooming products, which allow our customers to make numerous substantiated on-pack claims. With no harsh chemicals, these products are ultimately better for pets! 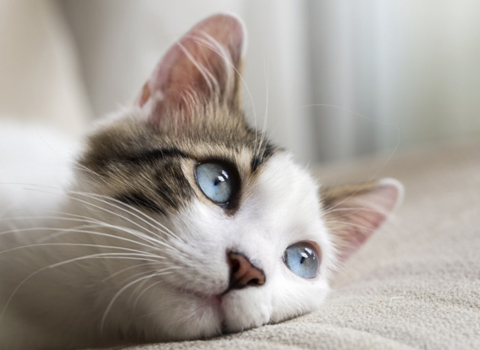 With a background in detergent and surfactant chemistry, we also offer formulations for animal housing, such as hard surface cleaners, sanitisers tested to EN1276 and EN1650, pet bedding calming and refreshing sprays, and laundry liquids intended for sensitive skin. Our experienced sales and marketing team is always on hand to provide services such as label artwork design, source packaging and free up your time to focus on distributing and selling your products. So, for dog shampoo formulation or any of a huge range of dog, cat, pet, livestock and veterinary products, contact us now.